What's the secret of transitioning from a competent gardener to a confident one? Pruning! Though pruning shrubs strikes fear into the hearts of many, it is actually a simple and rewarding process. All you need to do to master it is to understand a few basic principles behind the why, when, and how of pruning shrubs. Once you implement these ideas and techniques, you'll have more flowers and healthier plants in your garden that same season. Why should I prune a shrub? Remember, most popular landscape shrubs have an appealing natural habit that doesn't require extensive trimming and shaping. Enjoy your low-maintenance landscape and only prune where necessary. How do I prune a shrub? Use a pair of sharp bypass pruners for the job. Their scissor-like action makes nice clean cuts. Cut stems back to just above a big bud or set of buds. The bigger the bud you cut back to, the thicker and more vigorous the growth that comes from it will be. When cutting a stem back, avoid cutting into heavy wood where you can't see any buds. 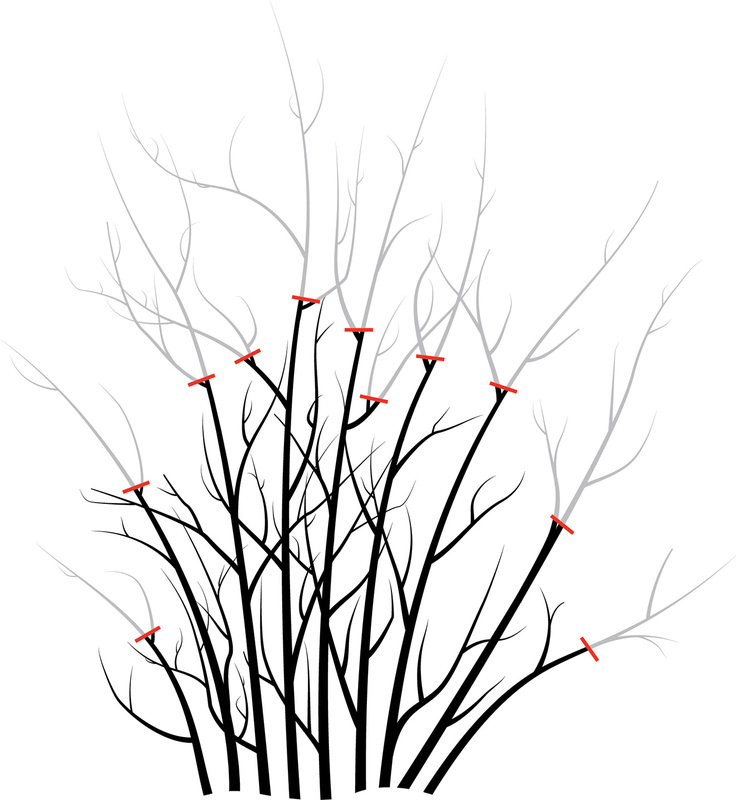 Make pruning cuts as small as possible by cutting stems straight across instead of on an angle. This ensures speedy healing. Cut back the entire plant more or less evenly. This shortens the stems and ensures that the growth for the year comes from big, vigorous buds further down on the plant. Remove selected stems entirely. This encourages new growth from the base of the plant, improving the health and habit. When do I prune a shrub? The answer to this depends on whether the shrub in question blooms on old wood or on new wood. Shrubs that bloom on old wood create their flower buds for the next year almost as soon as they finish blooming during the current year. Shrubs that bloom on old wood have flower buds present for most of the year. Generally speaking, the earlier in spring a plant blooms, the more likely it flowers on old wood. 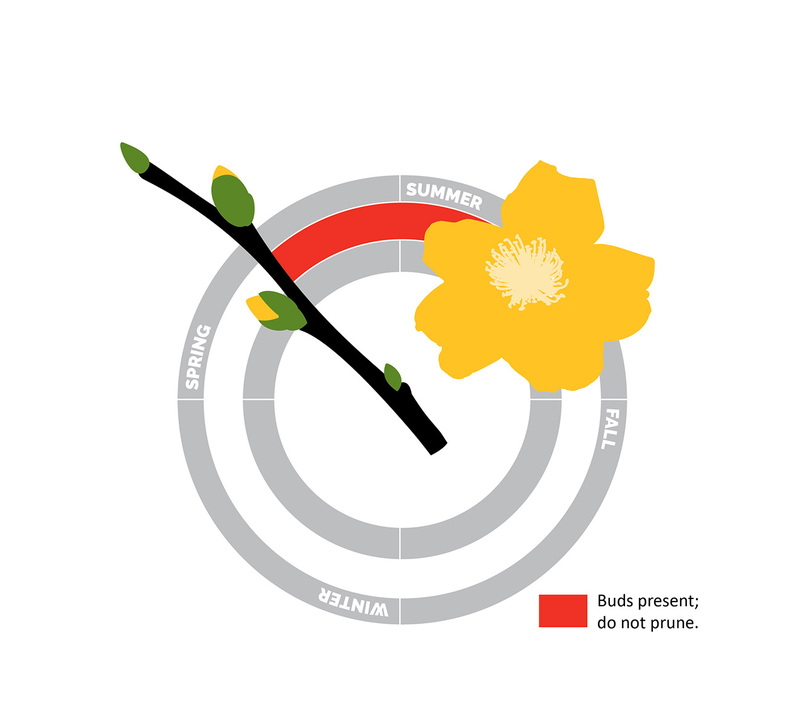 If you are willing to forgo flowers for a year, it's okay to prune shrubs that bloom on old wood in spring. Try to time pruning such plants so you do it just as the new growth is beginning to emerge on the stems – this allows you to see exactly where healthy new growth is occurring. 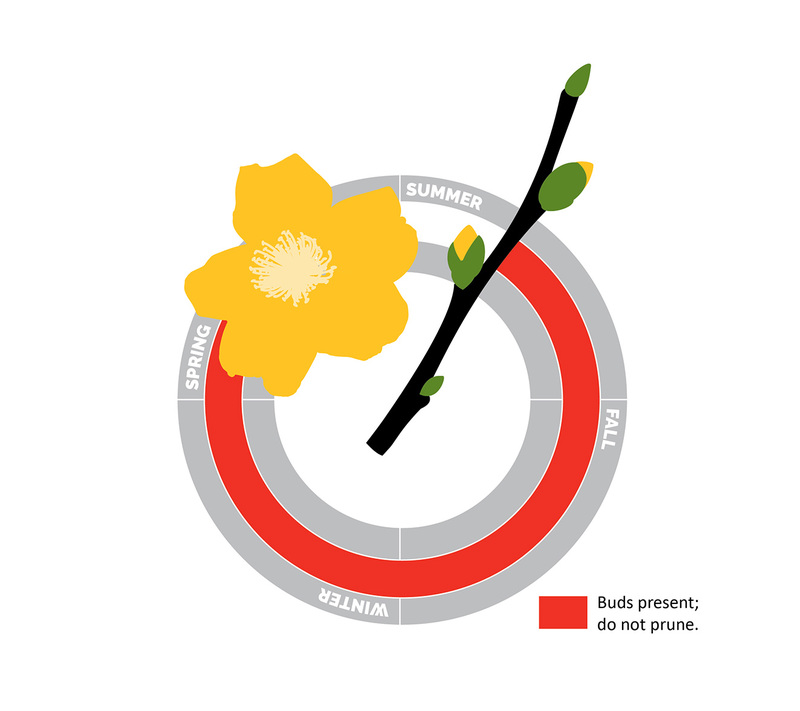 Reblooming plants like Bloomerang® lilac and Bloom-A-Thon® azalea flower on both old wood and on new wood – if they require pruning, the best time to do it is immediately after their spring bloom. Evergreens like arborvitae and boxwood are best pruned in spring, after new growth has flushed out. Dead wood can be removed any time. 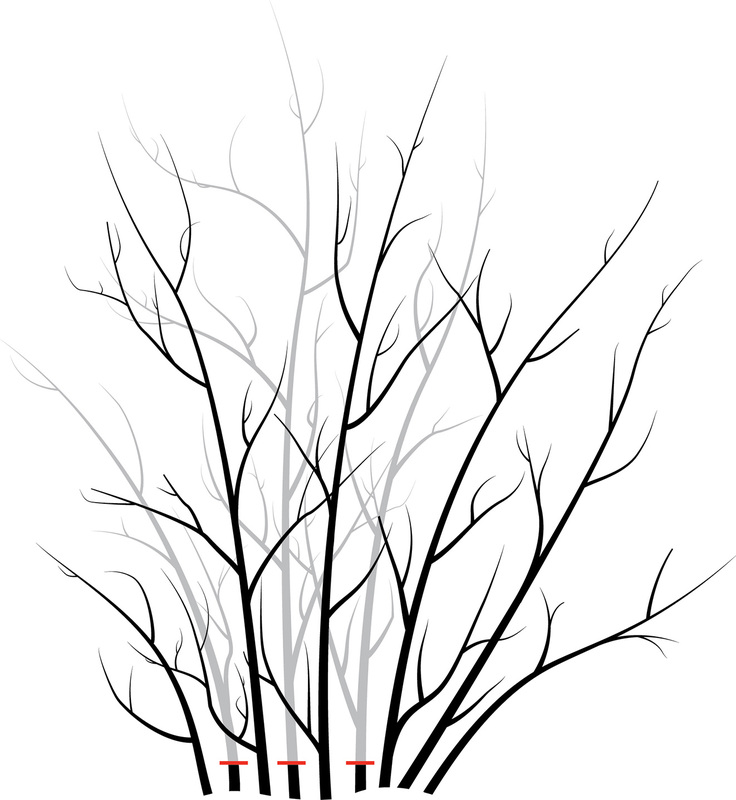 Branches that cause a hazard to people, pets, or property should be removed promptly.